The New Bedford Planning Board will decide to approve or disapprove a new LARGE Cumberland Farms, to include a gas station AND a car wash. 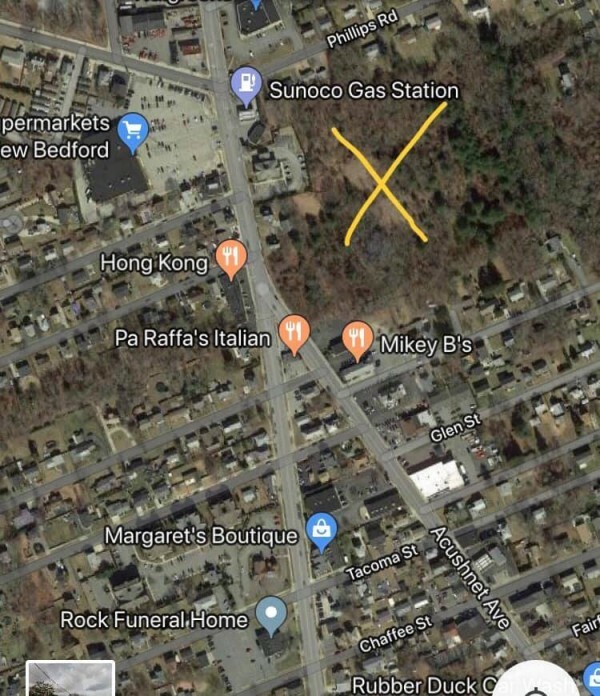 The proposed location is directly at the Acushnet Ave curve lights (adjacent to Orthodontics and across from Pa Raffa’s – and close to the Rte. 140 gateway into the north end). This meeting is a continuation from a December meeting where the developers shared their plan. Cumberland Farms hired a traffic review, who did a traffic safety analysis for ONE day, on a Tuesday, to determine if it would be safe to add a Cumby’s in that location. ONE DAY, plus, they only used Mass DOT accident info to tell the Planning Board “only 15 accidents at that location in x number of years. Councilor LINDA Morad then spoke sharing New Bedford Police accident data indicating over 100 accidents PLUS a FATALITY.